In the early seventeenth century, shipping goods and travelers around the world was big business; life on the high seas was an excellent way to find adventure, make a fortune or even become famous. On the other hand, it was also an excellent way to lose one's freedom, lose a fortune or lose one's life. 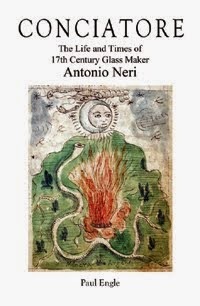 International trade affected Florentine glassmaker Antonio Neri in at least two major ways; first as a consumer of exotic materials and second as a traveler. Land routes were plagued by highway robbers, corrupt officials and a host of other problems that included keeping perishables viable over long journeys, keeping pack animals in good health and navigating unreliable roads. Transport by sea promised a potentially quick journey, but at the risk of bad weather, water damage and the dreaded scourge of pirates. Aye. In early 1604, Neri traveled to Antwerp to visit his friend Emmanuel Ximenes, who as it happens was himself an international banker; he provided the financial backing for trade expeditions to the Far East, Brazil and Africa. His extended family ran what today would be recognized as a vertically integrated corporation. The control of raw materials, to the supply chain, through to finished products was under the common management of the family. It is an open question if the Ximenes supplied Neri with materials for his work in Florence, but it is undoubtedly the case for his seven year long visit to Flanders. The Barbary Coast in Tunisia, a short distance from Italy, was a popular haven for pirates. Infamous at the time was Captain Jack Ward,  an Englishman who found shelter with the Ottomans through the local governor  to whom he paid ten percent of his bounty. Ward with his crew had converted to Islam and caused no end of grief to all European shipping. This included traders from Spain, the Netherlands, Britain, France, Tuscany and Venice. Ward had amassed a fleet of his own based on the African coast in Tunis. From here he conducted operations as far north as Ireland, running them under the Tuscan flag as well as numerous others. Despite all these issues, for Neri, the biggest impediment by far to traveling by sea or by land was that he was heading into a war zone. Antwerp was the calm at the center of a bloody conflict that thrashed and destroyed the surrounding countryside. The Dutch fleet had blocked the city port on the Scheldt River and opposing armies clashed in a great ring around the Low Countries. This is what Emmanuel Ximenes was alluding to in his letter of December 1602 when he said “the lack of peace in these countries prevents me from recommending them for you to come or not”  The northern Netherlands were in the midst of a war for independence against Spain and the Holy Roman Empire. These two superpowers of Europe were governed by the same tightly-knit Habsburg family, who at the time controlled what are now Portugal, Spain, Southern Italy and Flanders on one side of the family; Germany, Austria, Hungary and Transylvania, on the other. At the same time, the region had become a haven for formerly Jewish "New Christians" (like the Ximenes family) after their expulsion from Spain. 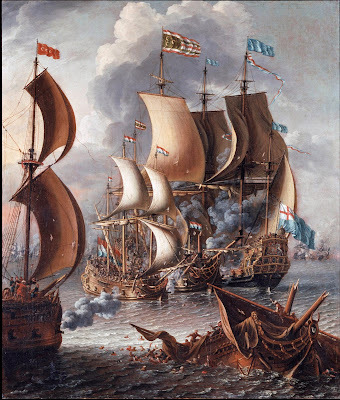 The city was blocked from sea trade by their Dutch neighbors to the north and armed confrontations with imperial troops from the south demolished surrounding towns. The conflict threatened to spill into the city for which Neri was bound. * This post first appeared here 24 Oct 2014.